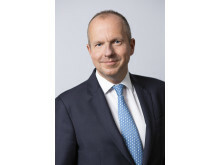 Mikko Tenhola has been appointed as the new Head of Newsec Advisory in Finland from August 1, 2019. He joined Newsec in 2009 and has been deputy Head since 2017. The current Head Juhani Reen will retire at the end of 2019. 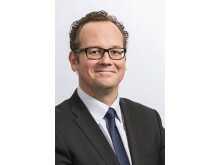 Morten Jensen has been appointed Head of Newsec Advisory in Denmark. He takes office on March 1 and replaces Henrik Lyngskjold who, after 12 successful years, has requested to leave his position. The total coworking stock in the Nordic and Baltic countries has grown by 36 percent from 2017 to 2018. Following this strong growth, the amount of coworking space will continue to increase by another 24 percent in 2019, up to 680,000 square meters. Coworking as a share of the total office stock will also continue to grow. These figures are available in the latest issue of Newsec Property Outlook. Newsec has acted as advisor in the sale of the S7 office complex in the CBD of Vilnius, Lithuania. The Lithuanian real estate development company M.M.M. projektai sells the office complex to Swedish Eastnine AB for 128 million Euros, making it the largest office transaction ever in the Baltics. The S7 office complex consists of four buildings. Three of these building, with a total office space of 42.500 square meters gross leasable area, are part of the deal. The transaction of the first building, called DC PIER, takes place this week while the transaction of the second and third building will take place in Q2 and Q3 of 2019 respectively. “This transaction is an important milestone for the Baltic commercial real estate market, primarily due to its large size. It highlights the improved liquidity of the market, supported by a strong demand from both international and local investors, especially for quality products in CBDs. The Baltic region looks very solid and still offers a very attractive price/yield gap compared to investments with similar quality and risk profile“ says Max Barclay, Head of Newsec Advisory. The S7 office complex has received several international accreditations and awards. The first building is occupied by Danske Bank global services and has been selected the best office building in Central and Eastern Europe. It has also been certified Excellent by BREEAM New Construction, the first such achievement is the Baltics. The second building is occupied by Swedish telecommunication company Telia. The third building, which is still under construction, is fully pre-leased to Danske Bank global services. “The successful development and sale of the S7 complex is an important milestone for M.M.M. projektai as a developer. In the development phase our main focus was on creating the best product possible, including the highest environmental standards and modern engineering solutions. We dedicated a lot of attention and passion to this project and we are proud about the numerous awards it has received. We are also proud of the international tenants who we attracted early on” says Diana Dominiene, Chairman of M.M.M. projektai. Newsec – The Full Service Property House in Northern Europe – offers real estate owners, investors and tenants a full range of services within Advisory and Property Asset Management. Newsec was founded in 1994 and is today a partner-owned company with some 1 800 co-workers spread across the seven Nordic and Baltic countries. In 2018, Newsec opened a London office to assist international investors interested in the Nordic and Baltic region. Newsec has approx. EUR 45 billion under management and annually signs lease agreements of approx. 1 million square meters, manages transactions of some EUR 3.3 billion and does real estate valuations of underlying property worth almost EUR 165 billion. Thanks to large volumes, local presence combined with in-depth understanding of a range of businesses, Newsec has a unique expertise of the real estate market in northern Europe. 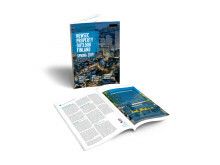 The latest issue of the Newsec Finnish Property Outlook shows that property investment prices in Finland have not fluctuated with the stock market but experienced steady growth, and the number of transactions will again be higher than normal this year. Newsec has acted as advisor to Nordea Liv in a transaction with the Swiss real estate fund UBS (CH) Property Fund Europe, covering the sale of care homes and a business area in Sandvika, just outside Oslo. The sale price for the two properties amounts to NOK 430 million. The two properties are located in the center of Sandvika and have a total gross area of approx. 11 700 sqm, including a parking garage with some 100 lots, as well as 50 apartments. The area distribution between residential care and retail sections is approx. equal. Nordea Liv has owned the properties since 1999. The investment in Sandvika is the first move by the UBS fund in Norway. “We are very excited to announce this deal which is historic in the sense that it’s UBS’s re-entry on the Norwegian market. 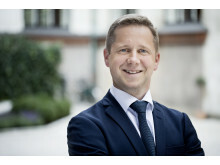 Nordea Liv is an important player on the real estate market and we feel honoured to get their trust once again”, says Håkon Styrvold, Head of Capital Markets, Newsec Advisory in Norway. Nordea is the Nordic region's largest financial group. Nordea Liv Norge offers life and pension insurance to businesses and private customers. Total assets totaled NOK 123.4 billion, distributed by NOK 50.8 billion in customer portfolios for products with interest guarantee, NOK 62.1 billion in the customer portfolio for products with investment choices and NOK 10.4 billion in the owner's portfolio. The proportion of property in the guarantee portfolios at the end of the third quarter of 2018 was 12.2 per cent, which amounted to approx. NOK 6.2 billion. Real estate investment yielded a return of 7.4 per cent in the third quarter of 2018. UBS (CH) Property Fund Europe is managed UBS Asset Management Real Estate & Private Markets (REPM). REPM has invested ca. 106 billion US dollar on behalf of its clients in 22 countries worldwide. More than 2,100 assets are actively managed by 550 experts in 14 countries. Newsec – The Full Service Property House in Northern Europe – offers real estate owners, investors and tenants a full range of services within Advisory and Property Asset Management. Newsec was founded in 1994 and is today a partner-owned company with some 1 700 co-workers spread across the seven Nordic and Baltic countries. In 2018, Newsec opened a London office to assist international investors interested in the Nordic and Baltic region. Newsec has approx. EUR 37 billion under management and annually signs lease agreements of approx. 1.3 million square meters, manages transactions of some EUR 3 billion and does real estate valuations of underlying property worth almost EUR 140 billion. Thanks to large volumes, local presence combined with in-depth understanding of a range of businesses, Newsec has a unique expertise of the real estate market in northern Europe. Newsec has acted as the advisor in the sale of the RYO shopping center in Panevezys, Lithuania. The total retail space of 24,2 thousand sqm currently houses 132 tenants. The Finnish family owned company Pontos, sold the shopping center to EfTEN Real Estate Fund 4 for 47 million Euros, making it one of the largest real estatetransactions in the Baltics this year. RYO is a thriving example of the positive impact of active, long-term ownership in the RE business. The shopping centre underwent a complete modernisation over a period of seven years in collaboration with the local operator. Contracts with new anchor tenants were confirmed, the shopping centre was expanded, its building services were brought up to date and the entire commercial image was refreshed. All retail spaces have been let since the modernization and the rental revenues of RYO have shown a steady increase over the years. RYO has boldly established its market position as the leading shopping centre in Panevezys. “Today, when there is uncertainty concerning the future of retail stores due to the growing impact of e-commerce, it is important to emphasize the key difference of the Baltic markets where consumer spending is among the lowest in Europe, while consumption growth is one of the highest. Our statistical data shows that retail stores in small towns often demonstrate better results than some of their counterparts in the capitals. All these factors offset the impact of e-commerce“, says Neringa Rastenyte-Janciuniene, Head of Capital Markets, Newsec Advisory in the Baltics. Today, the City of Helsink signs a sales agreement for the Urban Environment House located in Kalasatama, Helsinki. The property currently under construction is acquired by Union Investment Real Estate GmbH via a forward purchase agreement. The purchase price for the asset consisting of 27,500 sqm leasable area is 165 million Euros. At the same time, the City of Helsinki has signed a 20-year lease for the entire building. The property is expected to receive a BREEAM rating of “Excellent” as proof of its high sustainability credentials and construction quality. Newsec has acted as the vendor´s advisor in structuring and executing the transaction since the preparation phase. It was important for the City to ensure achieving both the best price and an affordable rent level. Also as a public entity, the City valued a transparent and market-driven process. HPP Attorneys Ltd acted as the City’s legal advisor. Today, the City of Helsink signs a sales agreement for the Urban Environment House located in Kalasatama, Helsinki. The property currently under construction is acquired by Union Investment Real Estate GmbH via a forward purchase agreement. The purchase price for the asset consisting of 27,500 sqm leasable area is 165 million Euros. Newsec Advisory was in early 2018 appointed by the previous owner of Stark Group (previously DT-Group), Ferguson plc, to advise on the valuation and strategic exit opportunities of their property portfolios in Denmark, Norway, Sweden and Finland. Newsec has, thanks to a cross-border platform and with the support of alliance partner BNP Paribas Real Estate, executed the sale of 40 individual properties. The various transactions were completed within the past 8 months, with the Silvan portfolio being closed as the last major transaction of the overall divestment. The Silvan portfolio consisted of 18 retail properties and one plot of land, located across Denmark, with the majority located within the Greater Copenhagen area. Comprising a total gross lettable area of 89,000 sqm. The recent sale leaves two properties still unsold, out of 42 properties. We expect to have completed the sale of Ferguson’s entire Nordic property portfolio by the end of the year. “Ferguson has valued Newsec and BNP Paribas’s advice and support in connection with our divestment of a substantial and complex property portfolio across Scandinavia. The process was handled professionally and executed in a timely manner. We are very pleased with the outcome and appreciate that a lot of that success is down to the team that managed the process for us,” says Robert Goldsmith, Deputy General Counsel, Ferguson. The Silvan portfolio included individual properties with long term development potential and all properties are on lease to Silvan on various length lease contracts. The size and structure of the portfolio resulted in significant investor interest, in particular from international investors, and was eventually sold to an entity who understood the long-term potential of the portfolio. The final purchase price is undisclosed, but the share deal included a booked value of land and buildings amounting to DKK 387m. The complexity of the Ferguson property portfolio, the multitude of transactions across the Nordics and the speed of execution illustrates the strength of Newsec’s pan-Nordic platform. The advisory mandate required a precise and thorough analysis of the property portfolio and underlying values, enabling Ferguson to make the best strategic decision. “The collaboration between Newsec Advisory and KLAR Advokater on the divestment process has been carried out both smoothly and top professionally to the success of Ferguson. This divestment process also illustrates KLAR Advokater’s strength and capability of executing transactions of this size and complexity”, says Thomas O. Q. Krüger, Partner and attorney-at-law at KLAR Advokater. ​Newsec was in early 2018 appointed by the previous owner of Stark Group (previously DT-Group), Ferguson plc, to advise on the valuation and strategic exit opportunities of their property portfolios in Denmark, Norway, Sweden and Finland. Newsec has, thanks to a cross-border platform and with the support of alliance partner BNP Paribas Real Estate, executed the sale of 40 individual properties. The Nordics’ and Baltics’ largest property asset management firm, Newsec, is to open a London office for the first time, to represent the business in the UK following rapid expansion in the region over the last two years. Newsec – the Full Service Property House in Northern Europe – offers real estate owners, investors and tenants a full range of services within the areas of Property Asset Management and Advisory.